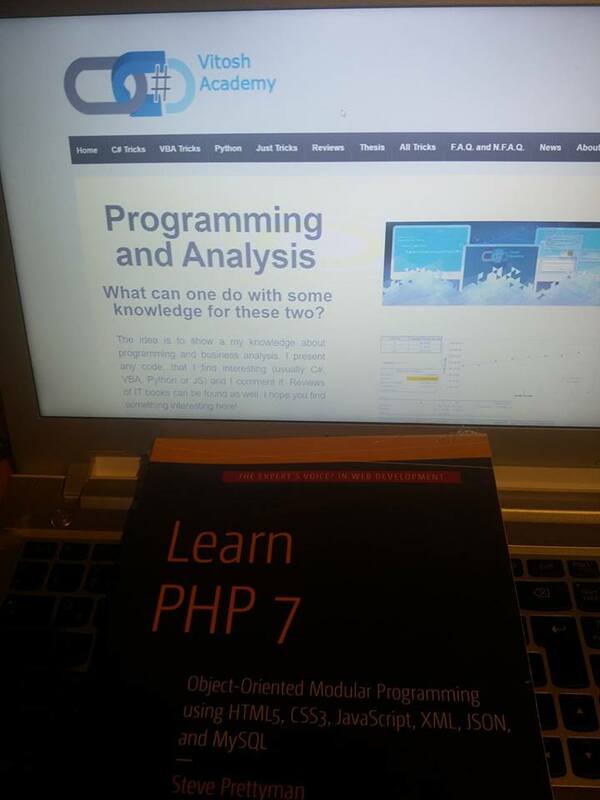 After writing some articles about PHP and even reviewing books about it, I have asked the nice people from Apress.Com to kindly send me the book PHP 7 for a review. Thus, I hope I would be able to review it within the next months! In the meantime, if you do not want to wait for the review, you may purchase it from here.